Business InsiderA Sears store in Richmond, Virginia. Sears will start selling its DieHard-brand car batteries, chargers, tires, and more on Amazon. Sears made a similar deal in July to start selling its Kenmore-branded appliances on Amazon. Both deals should give the company access to new customers and revenue. But the strategy is a major blow to Sears’ stores, which are haemorrhaging money. The company on Thursday announced plans to start selling its DieHard-branded products – such as jump starters, battery chargers, car batteries, and tires – on Amazon. Both deals should give the company access to new customers and revenue. 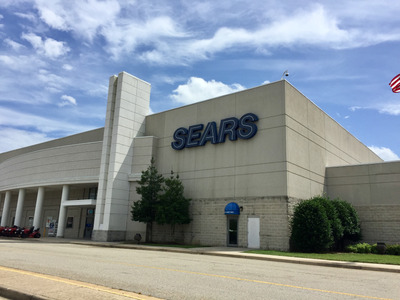 But the strategy is also a major blow to Sears’ stores, which had previously sold both brands almost exclusively along with Sears.com. Sears’ stores are already under pressure from plunging sales. Same-store sales at the company’s Sears and Kmart stores fell 17% and 13%, respectively, in the most recent quarter. Sears has been closing hundreds of stores to stanch the bleeding, but traffic is still waning at the stores that remain open. “Despite its significant efforts to reduce its stores, it has not materially improved its weak operating performance to date,” Moody’s vice president Christina Boni wrote in a recent research note. Sears reported total revenues of $US3.7 billion in the most recent quarter, compared with $US5 billion a year ago. The company said its store closures contributed most to the declines.